Two scholarships are available, one for an overseas fee-paying student and one for a UK/EU fee-paying student, for the full-time MA South East Asian Studies at SOAS for the academic session 2011/12. -Applicants must have applied for a place to study at the School at least four weeks before the scholarship closing date in order to be considered for these scholarships. -Applicants must normally possess or expect to be awarded a First Class Honours Degree or equivalent. Applicants with upper second class level may also apply, but will not be given preference. Students with a non-UK degree will be assessed on the basis of their references and transcripts. 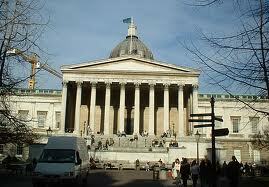 -This scholarship is open to UK/EU and overseas applicants. Candidates will be assessed on academic merit by an Advisory Panel consisting of three academic members, one from each Faculty. The assessment of your application will be based on the information in your application. Selectors will be looking at the degree results and also at academic references, statement and other relevant information. Scholarship applications must be received no later than 5pm on 29 April 2011. Applicants must have also applied for a place to study at the School preferably four weeks before the scholarship closing date (ie by 1 April2011) but no later than the scholarship application deadline in order to be considered for this scholarship. The application for a place must be complete. All applicants will be notified by e-mail regarding the outcome of their application, generally by the end of June. The successful candidates will also be notified by letter. If you have not heard from us by mid-July, please contact the Scholarships Officer. Demikianlah artikel mengenai The Professor Stuart Wilson Scholarship Semoga Bermanfaat Bagi Anda.